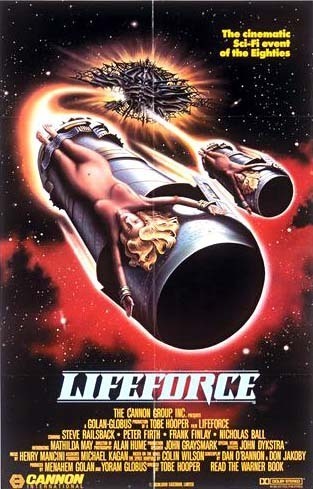 Lifeforce. A 우주 shuttle mission investigating Halley's Comet brings back a malevolent race of 우주 뱀파이어. Wallpaper and background images in the 뱀파이어 club tagged: lifeforce space vampires poster movie toby hooper colin wilson vampire image. This 뱀파이어 photo contains 애니메이션, 만화, and 만화책. There might also be 신문 용지, 잡지, 타블로이드, 걸레, 신문, 종이, 타블로 이드, and 걸 레.